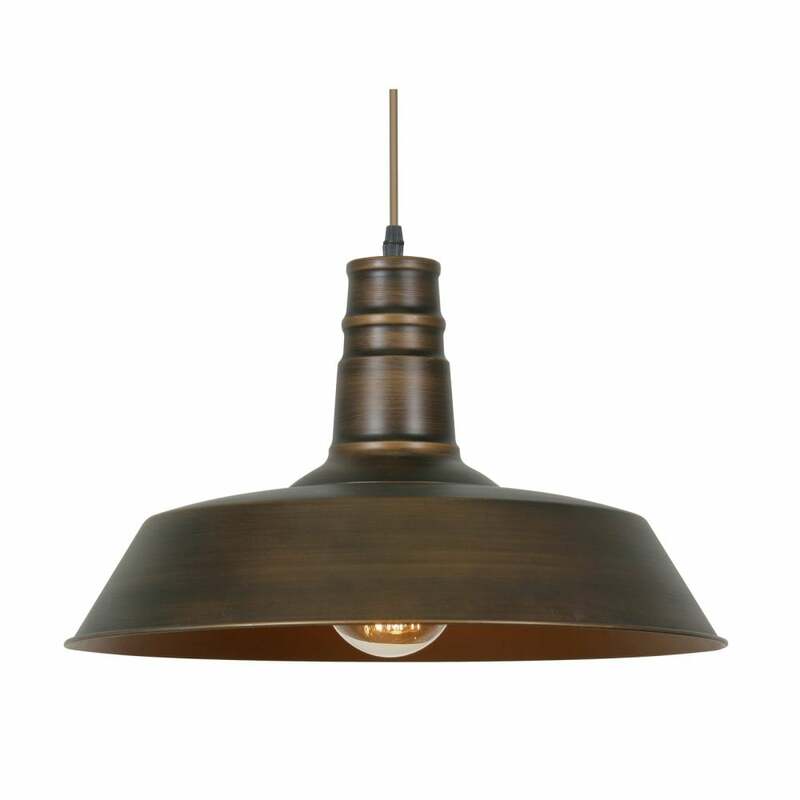 Oaks Lighting Ribe single light ceiling pendant features a circular ceiling plate with cable holding a wide brim metal shade in antique brass finish. The product code for this item is 3583 AB. Also available in copper or champagne finish which can be viewed and purchased via our website.